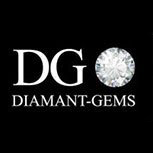 Our team at Diamant-Gems is made up of international gemmologists, and diamond and coloured gemstone specialists. For over 20 years, our gemmologists have travelled across Africa (particularly Central Africa and Guinea) to bring us the most beautiful gemstones on the precious stones market, at highly competitive prices. We are proud to have been in the profession for several generations. Our expertise is recognised internationally. Owing to its breadth of experience, Diamant-Gems is proud to be represented by KOH DIAMONDS, in the Antwerp Diamond Bourse, and by KARAT, located next to the world-renowned Parisian destination for high-end jewellery, Place Vendôme. 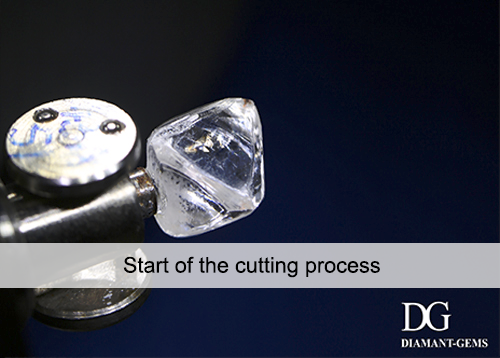 Diamant-Gems has extensive experience in the cutting of rough diamonds. Our uncut diamonds are purchased and then sent to Antwerp, one of the world’s leading diamond capitals. 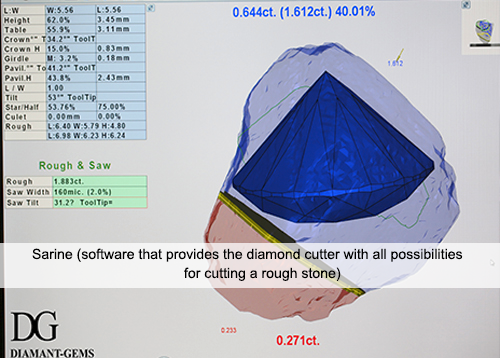 We work in close collaboration with two cutting companies in Antwerp that handle our rough diamonds and repair already cut diamonds. We select all of our diamonds with great care in order to keep only the stones with the best-quality cut, as well as a minimum grade of H/S12 for clarity and colour. 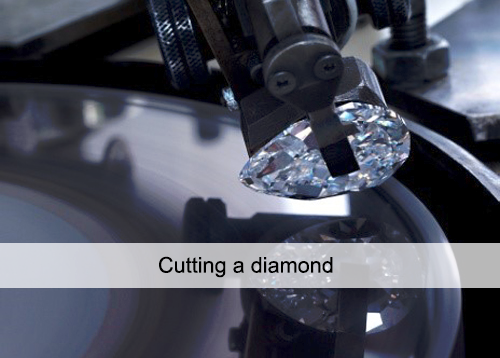 Once cut, our diamonds are inspected by laboratories that are recognised in the industry and that issue certificates guaranteeing the quality of the gems. We work in close collaboration with the laboratories GIA, HRD and IGI. The certificates issued by these laboratories are the highest and most reliable guarantee for our clients, ensuring them of the quality of our gems. Having been active on the Antwerp market for more than 20 years, our renown and reputation have enabled us to work with most of the major players in the Antwerp diamond sector. Thanks to these trusting relationships, we also benefit from “entrusted” stones that considerably increase the selection of gems that we have to offer our clients. 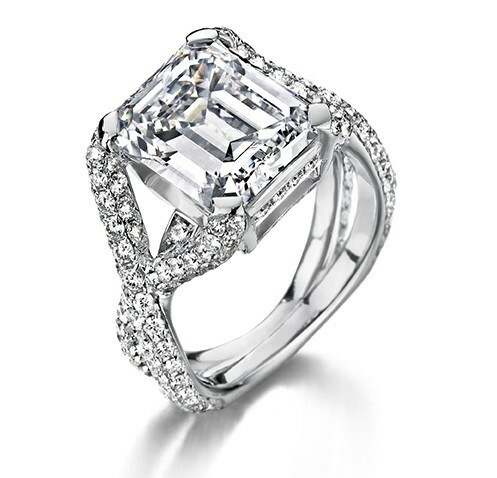 We also work in partnership with renowned jewellery manufacturers in order to create custom-made jewellery. They will design and create your jewellery to bring your desires to life! You can have your piece of jewellery made within approximately three weeks. 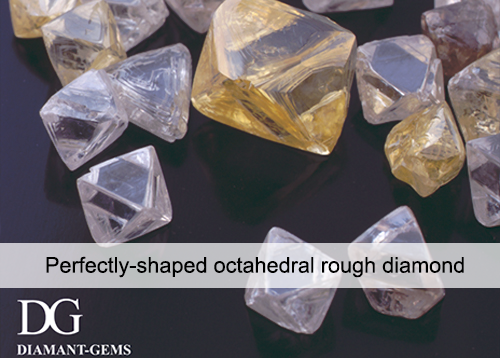 As the sole intermediary between the mine and the finished product, Diamant-Gems boasts the best prices on the market. You are welcome to visit us in our Paris and Antwerp offices, where we will present you with a wide range of diamonds and other precious stones specially selected for your budget. We will be happy to provide you with all the information you need to help you choose the best stone for you. And whether you decide to purchase from us or not, this site is a mine of information for the discerning buyer. We welcome customers by appointment Monday to Friday, from 9:30 am to 6:30 pm.